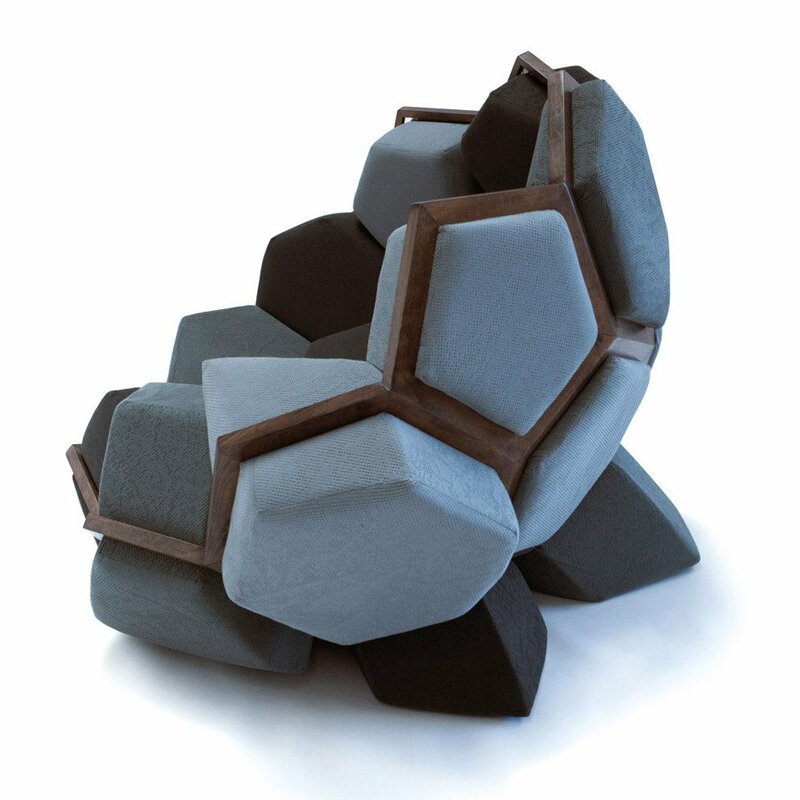 The fabulous Quartz Armchair was completed by the Greek design studio CTRLZAK, in collaboration with Davide Barzaghi. 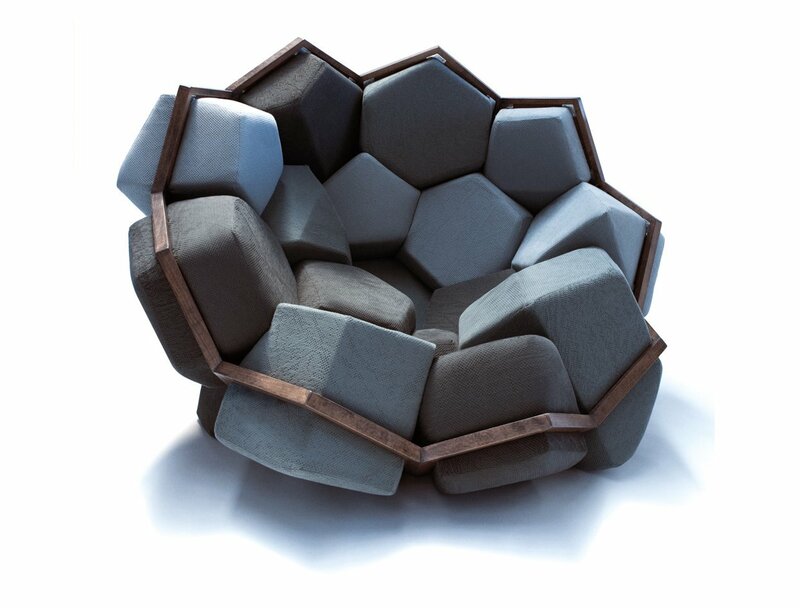 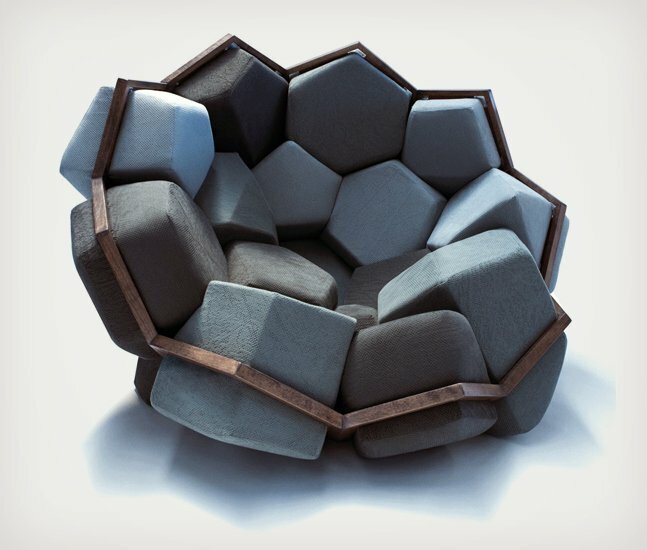 The chair is made up of pentagonal and hexagonal wooden structure with crystal shaped inserts. 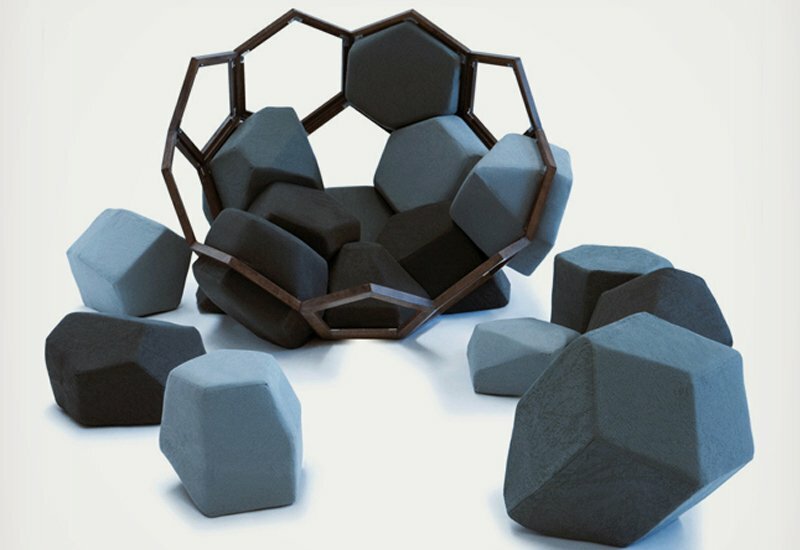 “Nature with its’ astonishing perfect geometry has always been the primary source of inspiration for most forms of creative projects. 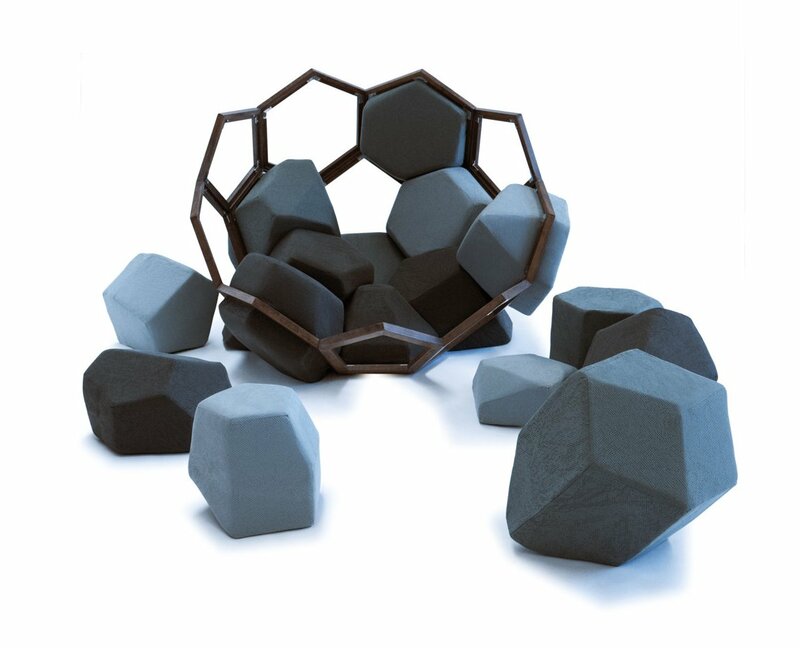 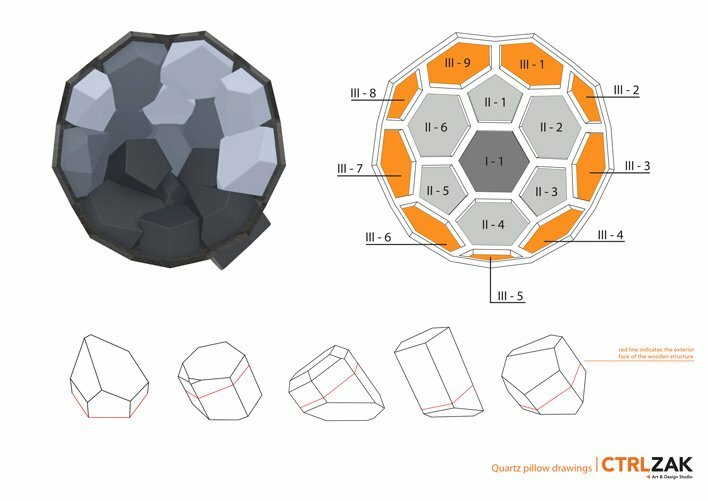 QUARTZ is a system that couples two-dimensional pentagonal and hexagonal wooden structures, which develop in three dimensions following natural crystalloid formations.